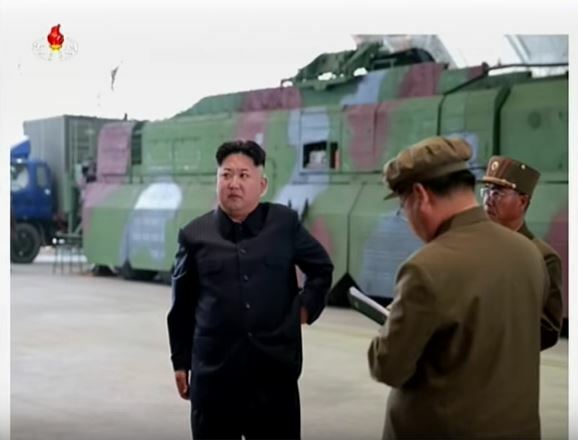 North Korea is showing signs of preparations to conduct its first launch of a mobile ballistic missile that could potentially reach part of the United States, CNN reported Tuesday, citing U.S. officials. 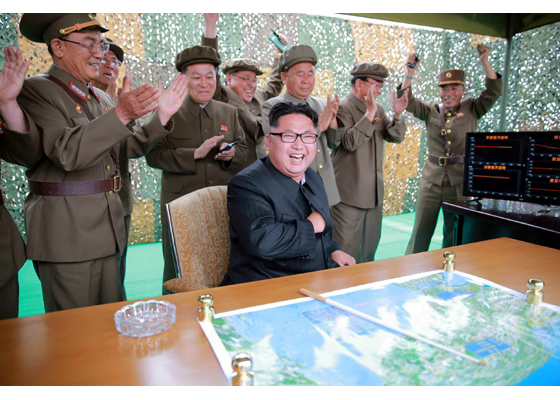 U.S. intelligence satellites have picked up such indications, and the potential launch is most likely to involve the intermediate-range Hwasong-10 missile, capable of reaching Guam, as well as Shemya Island in the outer reaches of Alaska's Aleutian chain, the report said. 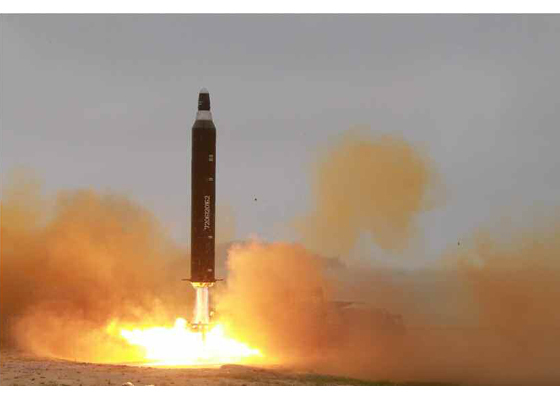 But North Korea could attempt to test the longer-range, road-mobile intercontinental ballistic missile Hwasong-13 or its another more advanced version, the Hwasong-14, which are believed to be capable of reaching the West Coast of the continental U.S., the report said. 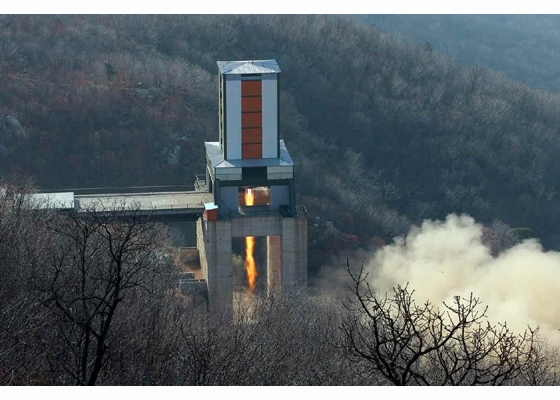 Officials cautioned, however, that the North may not go ahead with a launch, adding that Pyongyang is well aware U.S. spy satellites keep constant watch on it, and such preparations could be part of the North's attempts to deceive the U.S., according to the report. 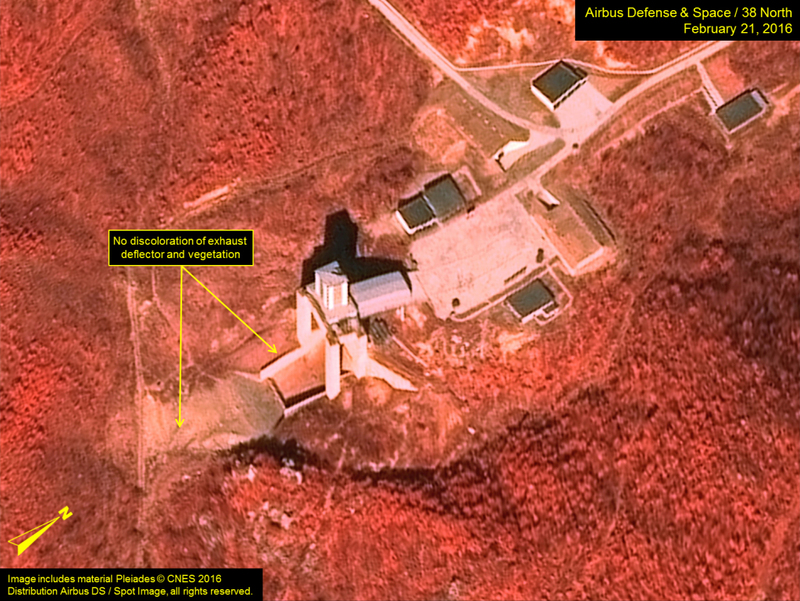 Last week, North Korea claimed that it successfully carried out a ground test of a powerful ICBM engine, with leader Kim saying that the test "provided a firm guarantee for mounting another form of nuclear attack upon the U.S. imperialists." 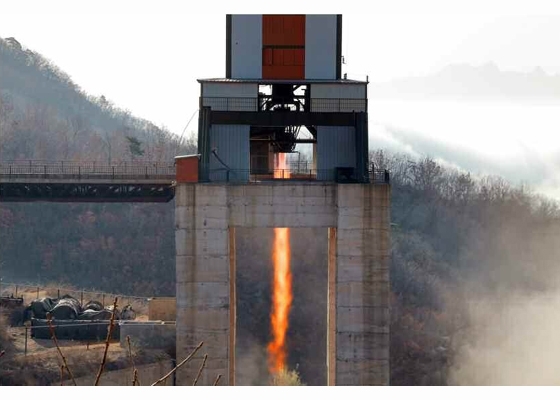 After analyzing images of the test, U.S. missile expert John Schilling said the test demonstrated Pyongyang is capable of building road-mobile, long-range missiles that can deliver nuclear warheads as far as Washington and New York. 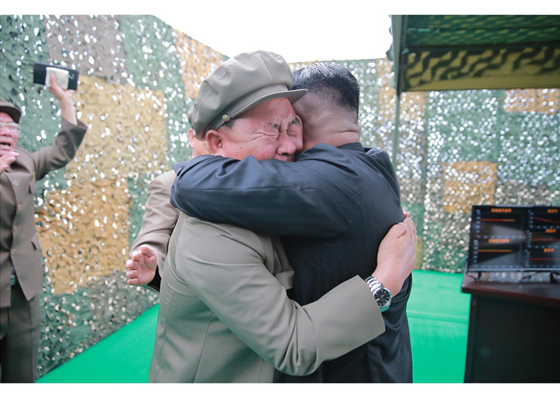 North Korea has deployed one or two Hwasong-10 mid-range ballistic missiles to near the eastern port city of Wonsan for a possible launch to mark its founding father's birthday this week, South Korean sources told Yonhap News Agency on Thursday. 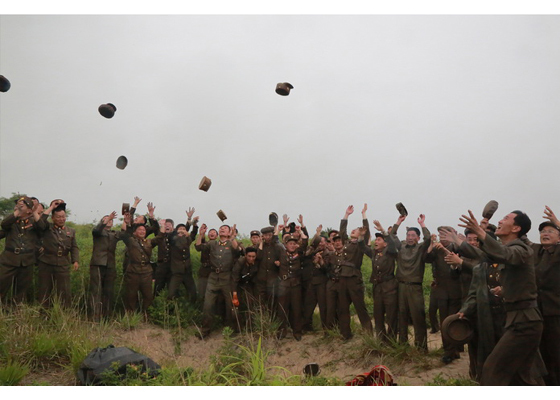 "After deploying them some 20 days ago, North Korea has not withdrawn them," the source said. 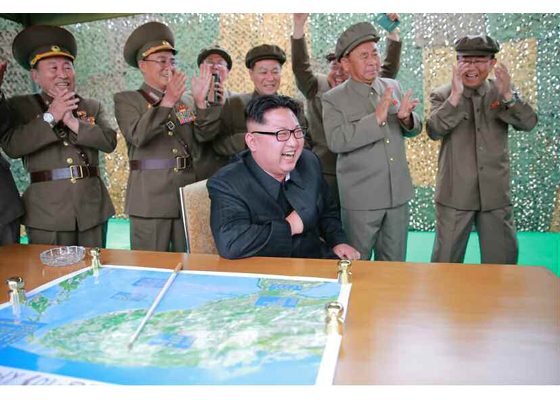 "Given the fact, North Korea is likely to venture a launch on the occasion of Kim Il-sung's birthday." 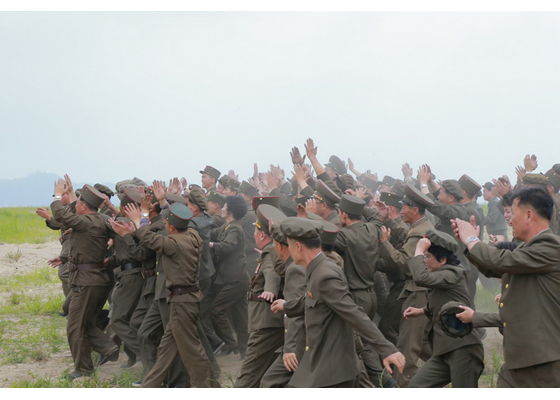 On Friday, North Korea marks the 104th birthday of the late North Korean founder and leader Kim Il-sung. 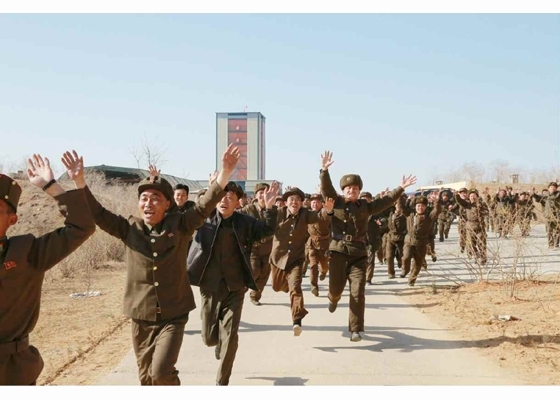 North Korea has celebrated the "Day of the Sun" with elaborate military events in the past, with experts predicting that the event for this year will be marked with a ballistic missile launch. Other military sources said the missile or the missiles were loaded onto a transporter-erector-launcher or TEL, a mobile missile launcher. If the launch takes place, it will be North Korea's first test-launch of the intermediate-range ballistic missile also known as Hwasong-10. With a range of up to 4,000 kilometers, the missile could fly over South Korea and Japan to reach as far as Guam, where United States military forces are stationed. 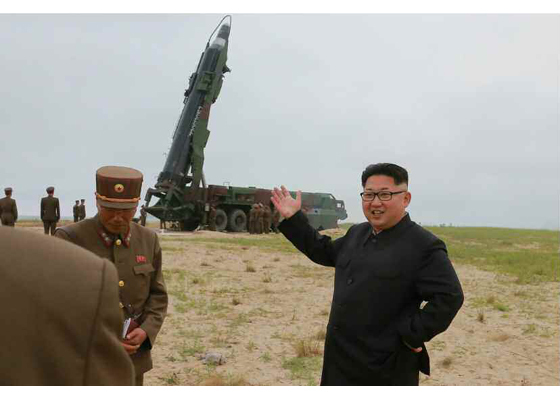 North Korea is believed to be keeping an arsenal of about 50 Hwasong-10 missiles. 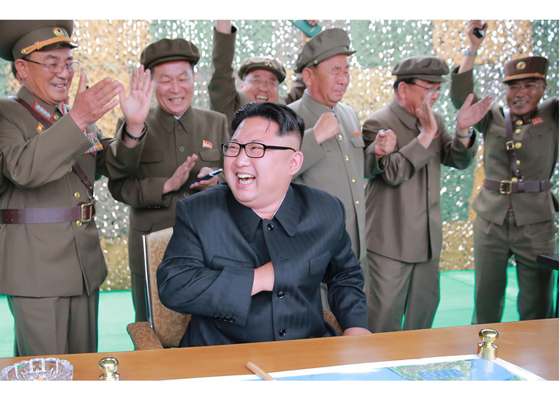 Sources said North Korea may inform the International Maritime Organization, a global shipping regulation body, of its launch plan before pushing ahead, but the country doesn't seems to have taken such a step yet. Under the circumstances, an expert on North Korea says that the possibility of an atmospheric nuclear test can no longer be ruled out. 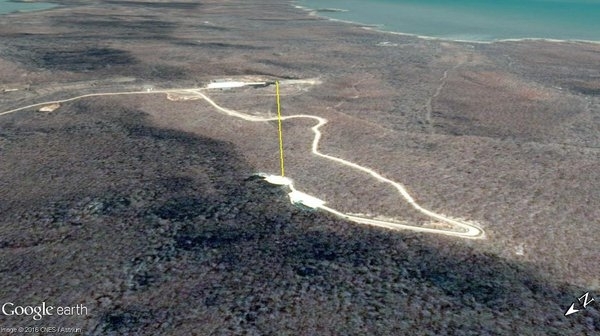 The test would involve detonating the device suspended in the atmosphere, as opposed to its previous underground tests. 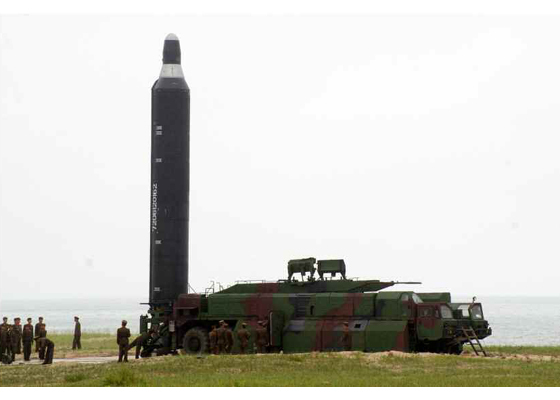 One possible way of conducting the test would be to use a Hwasong-10 intermediate-range ballistic missile as the carrier. 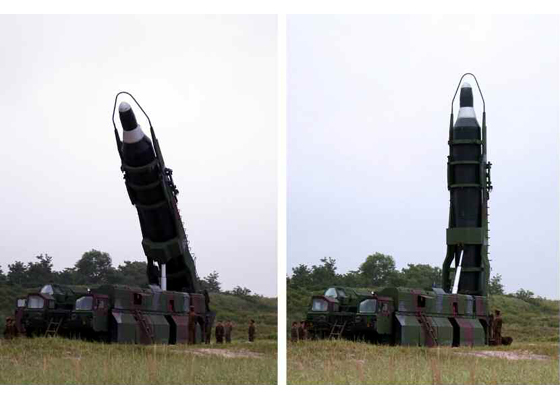 It is believed that the Hwasong-10 has yet to be tested, although it has appeared in military parades in the past. 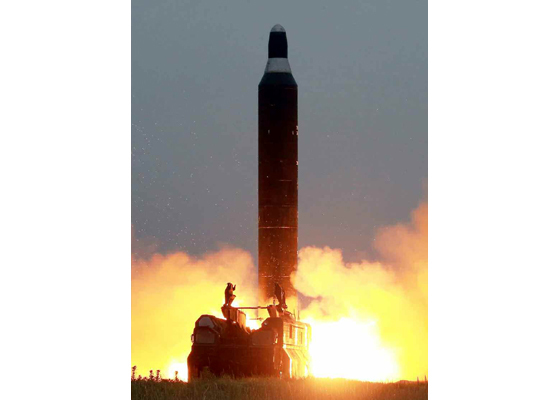 The missile theoretically employs a plutonium-type nuclear warhead, which Pyongyang is believed to have succeeded in producing. 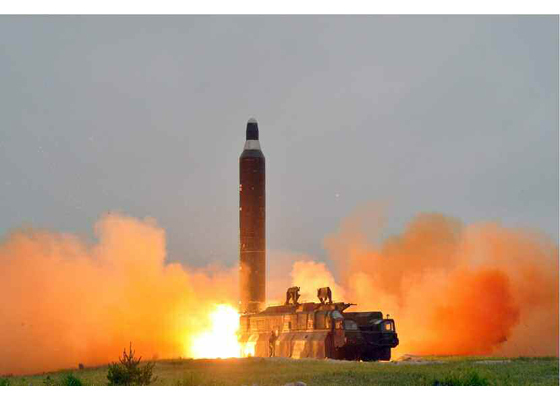 At 3,000-4,000km, the Hwasong-10's estimated range is longer than the North's other intermediate-range missile, the Rodong, which has a range of 1,300km. The East Sea would be the most likely location for the test. 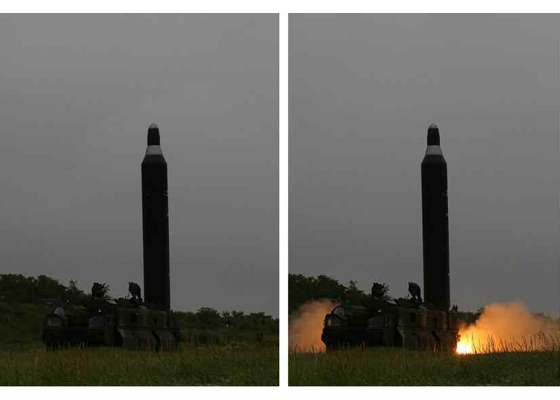 The Hwasong-10 is based on a Soviet missile and designed to carry a number of warheads. 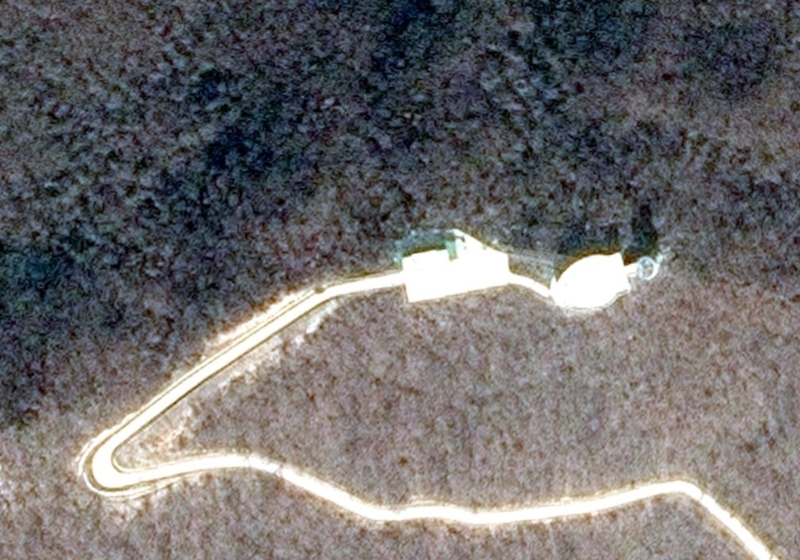 North Korea is not a signatory to the Comprehensive Nuclear-Test-Ban Treaty and has therefore repeatedly conducted underground tests undeterred. The ban would also have no effect on a potential test in the atmosphere. 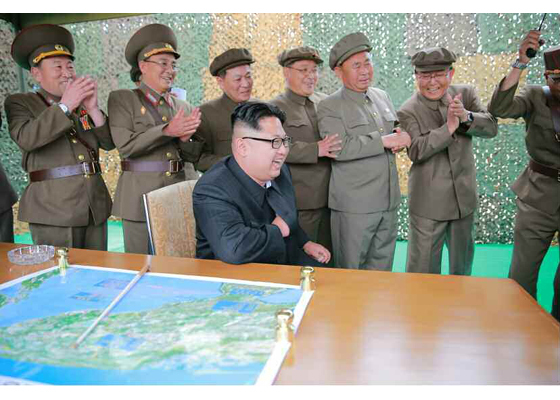 Success in launching the Hwasong-10 and a subsequent atmospheric test would have an immeasurable effect on the regional level. A nuclear explosion at high altitude generates powerful electromagnetic waves. One detonated over the East Sea could potentially cause extensive disruption to electronic devices and power grids in Japan and South Korea. A U.S. nuclear test explosion in the Pacific Ocean in 1962 caused a blackout in the Hawaiian Islands, despite the fact that they were a great distance away. The confusion would be significantly worse in today's society. From a military perspective, one important point to consider is that the Japanese and U.S. missile defense shields may not be able to intercept a Hwasong-10. 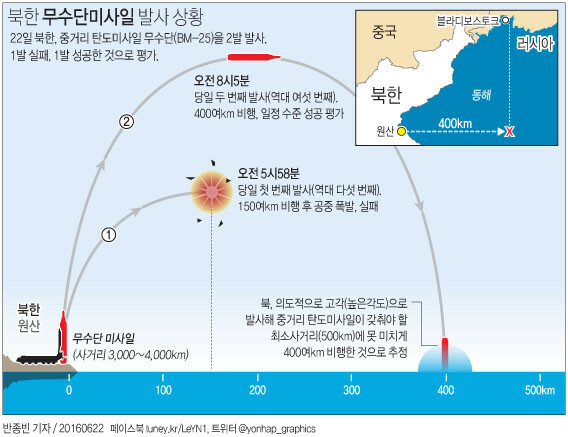 Such a long-range missile targeted at the East Sea from the Korean Peninsula would rise to such altitude and fall at such a trajectory that even the most advanced technology might not be sufficient to shoot it down. A successful atmospheric test would enable North Korea to hold Japanese and U.S. military bases in the Japanese archipelago in range. 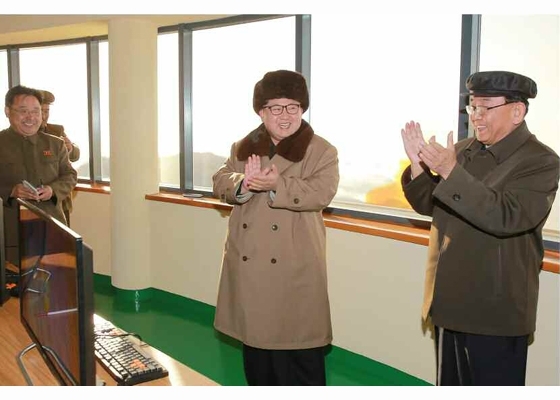 North Korean leader Kim Jong Un paid tribute to the North's founder on Friday, the birthday of his grandfather. 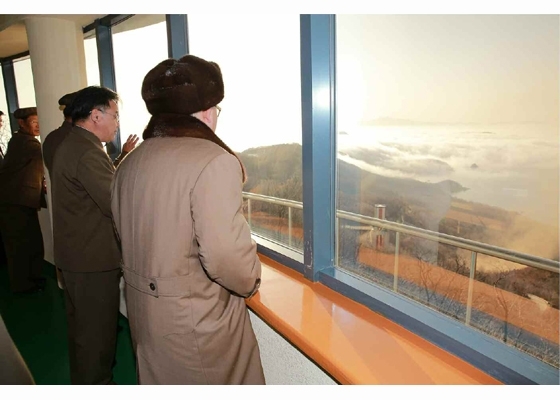 The young leader Kim visited the Kumsusan Palace of the Sun, accompanied by senior military officials, to commemorate the 104th birthday of Kim Il Sung, known as the Day of the Sun, according to the Korean Central News Agency (KCNA). 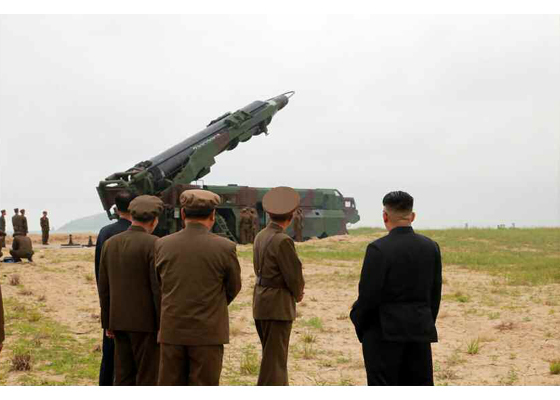 On the anniversary, North Korea attempted to fire off what appeared to be a Hwasong-10 medium-range ballistic missile, but the launch ended in failure, according to the South Korean Joint Chiefs of Staff. 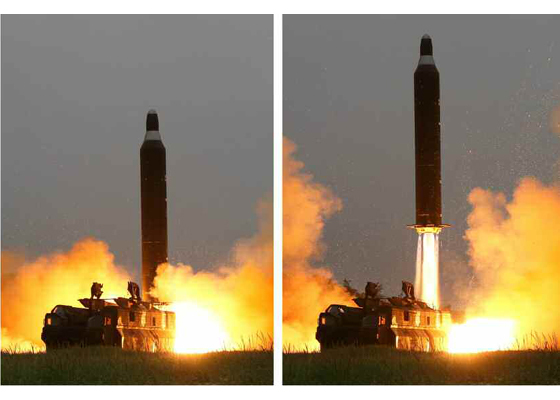 Technicians were killed or injured and a mobile missile launcher was damaged when a North Korean medium-range ballistic missile blew up in mid-air on April 15, according to a U.S. website. 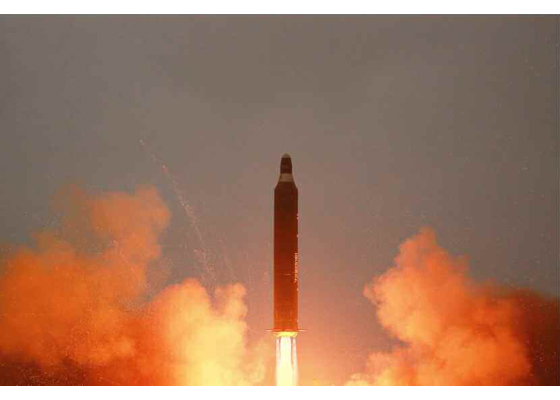 "Two road-mobile Hwasong-10 launchers were set up for the test, but the second was not fired after the explosion," the right wing Washington Free Beacon reported Wednesday quoting a U.S. military officer and a diplomatic source. 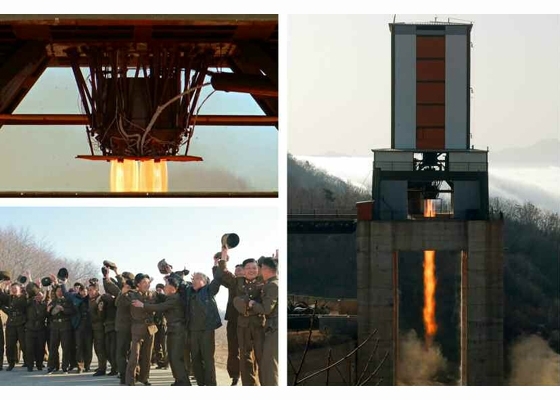 "The missile blew up about 300 feet above the ground." 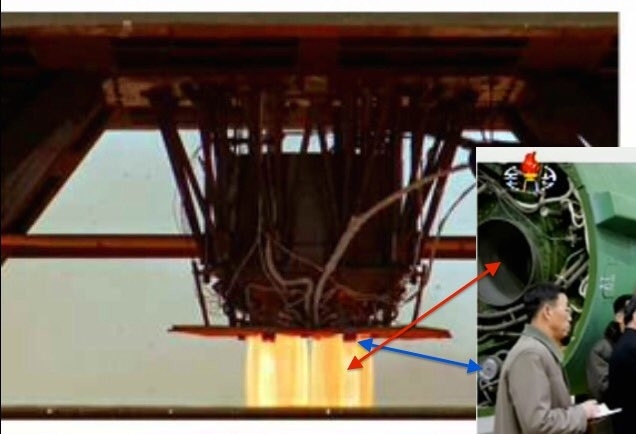 The diplomatic source blamed the explosion, which occurred within five or six seconds after launch, on a faulty fuel system or turbo pump failure. U.S. airborne and space-based surveillance systems closely monitored the missile test and "videotaped the explosion during the attempted launch from a beach on North Korea's east coast," the Free Beacon added. 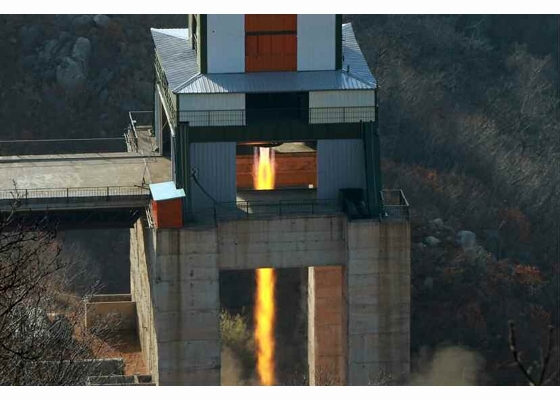 North Korea was initially detected to have loaded one or two IRBMs, known as Hwasong-10, on the transporter erector launcher, near the country's eastern port city of Wonsan, earlier in the month. 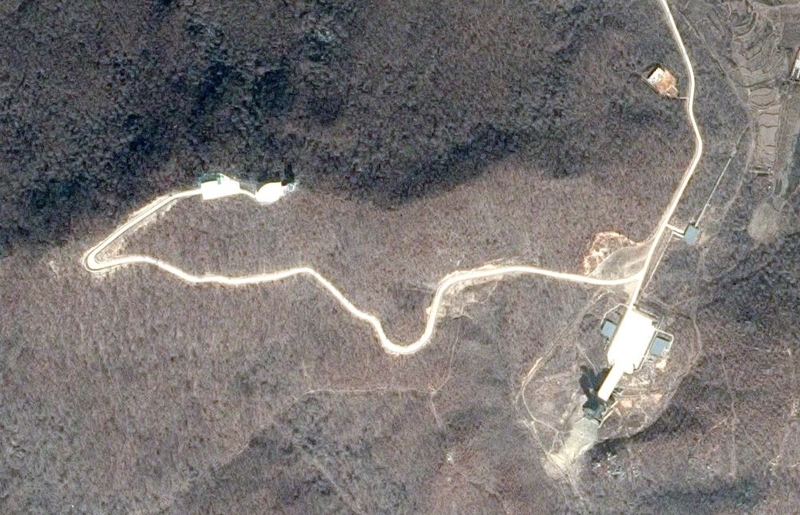 "Signs have been detected that North Korea is trying to launch another Hwasong-10 missile"
"The remaining missile appears to be standing by for launch"
"The South military is picking up signs which indicate North Korea will likely launch the Hwasong-10 missile in the near future, and they are keeping close tabs on that." 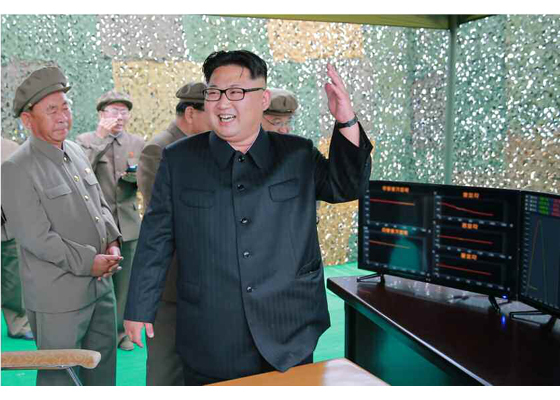 South Korea's science ministry said Tuesday it has signed an agreement with the military to make joint efforts against a possible electromagnetic pulse (EMP) attack from North Korea. The National Radio Research Agency inked the memorandum of understanding with the Army Engineer School, according to the Ministry of Science, ICT and Future Planning. It calls for the two sides to share EMP test equipment, develop preventive technologies together and exchange relevant specialists. An EMP occurs when a nuclear device is detonated at a high altitude, potentially damaging the power grid and making most electronic devices useless. 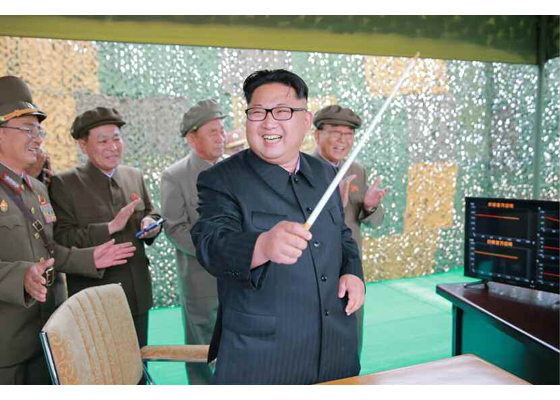 Concern of a North Korean EMP attack has grown recently in the wake of its fourth nuclear test, which it claimed was hydrogen-based, in January. Park said on Monday that there are signs that North Korea is gearing up for its fifth nuclear test, but did not discuss the basis for her claim. 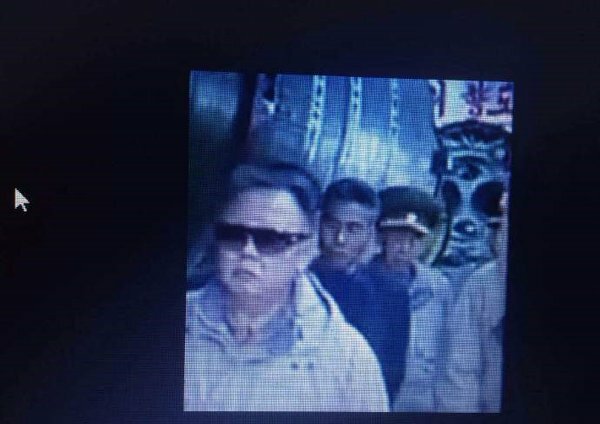 Citing the South government sources, media reports also said on Sunday that North Korea is preparing for the test to be carried out in early May. 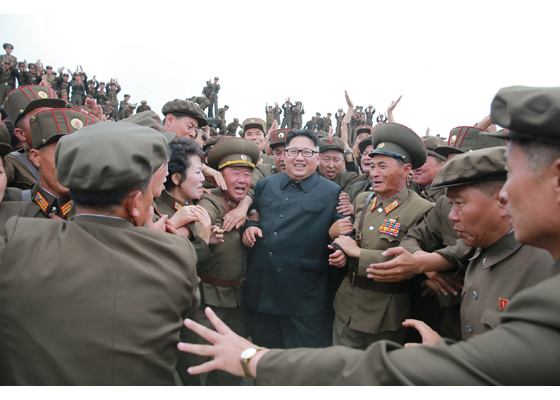 South Koreas military has said Pyongyang is technically ready for an additional nuclear test. 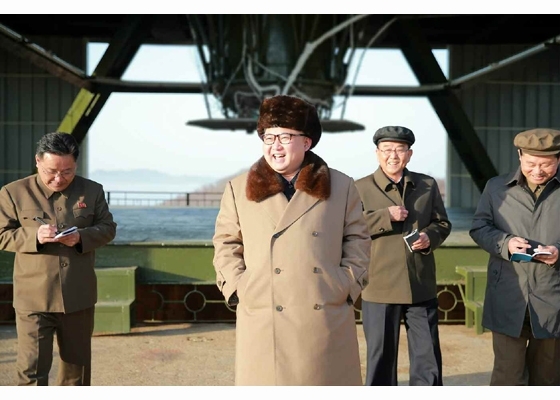 The Defense Ministry also said North Korea can conduct its fifth nuclear test at anytime. A new nuclear test could take the North a step closer toward manufacturing a warhead small enough to place on a long-range missile. Edited by Soheil, 23 June 2016 - 06:29 AM. 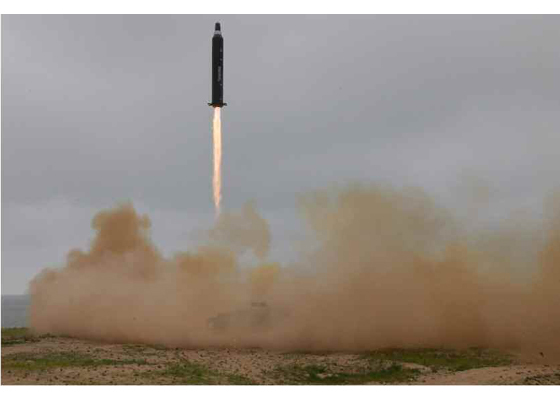 Kim Jong Un, chairman of the Workers' Party of Korea, first chairman of the National Defence Commission of the DPRK and supreme commander of the Korean People's Army, guided the test-fire of surface-to-surface medium long-range strategic ballistic rocket Hwasong-10. At a watch post he gave an order to conduct the test-fire after hearing a report on its plan. 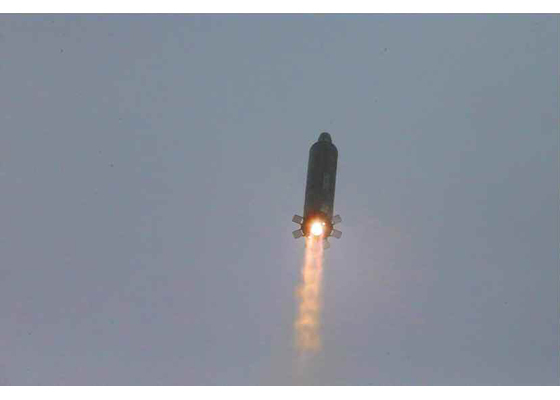 The test-fire of Hwasong-10 was carried out by the high-angle fire system under the simulation of its maximum range. 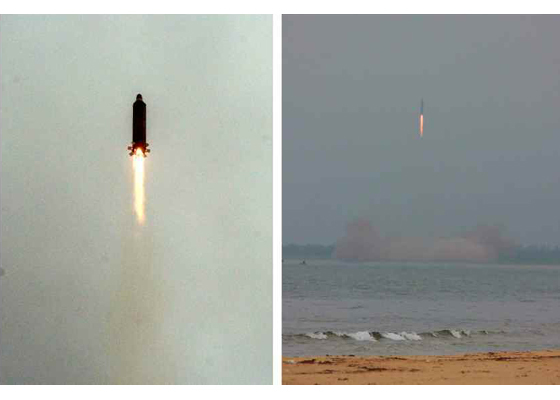 The ballistic rocket took off a self-propelled launching pad and accurately landed in the targeted waters 400km away after flying to the maximum altitude of 1 413. 6km along the planned flight orbit. 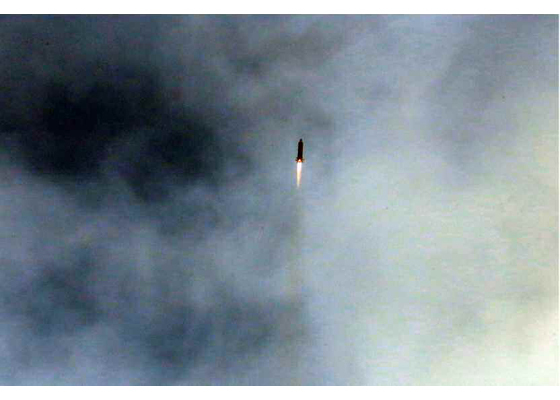 The test-fire confirmed the flying kinetic feature of Korean-style ballistic rocket with an updated system and its safety and control as well as the technical specifications of newly-designed rocket structure and its dynamic system. 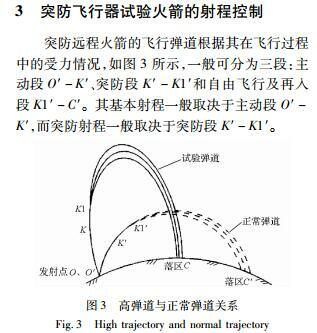 It also verified the heat-resistance capability of warhead in the re-entry section and its flight stability. 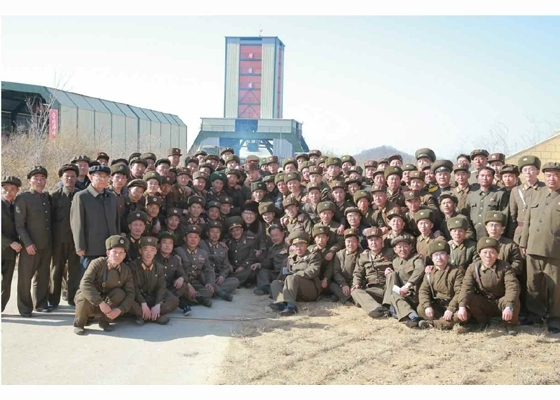 It provided a sure sci-tech guarantee for developing the system of strategic weapons. 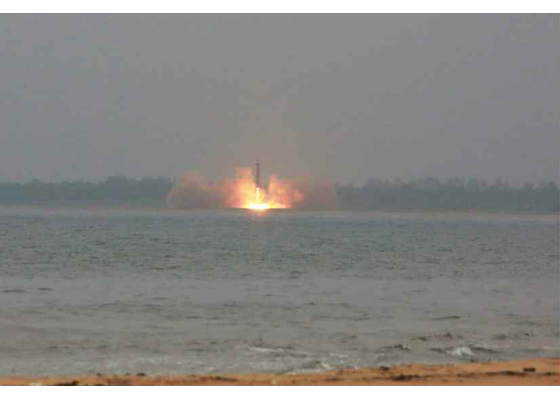 The test-fire was successfully conducted without affecting the security of a surrounding country even a bit. 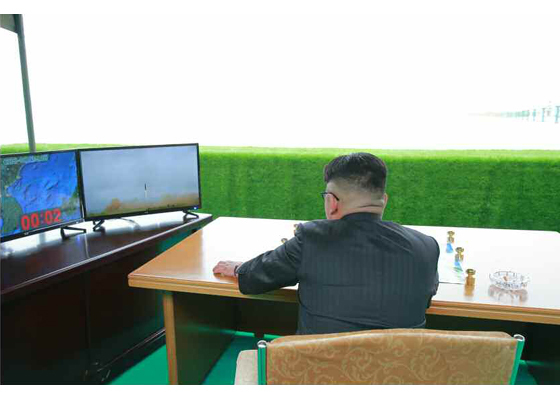 Expressing great satisfaction over the test results, he said with joy that this happy news would give the conviction in sure victory and optimism to the army and people of the DPRK and that it was a great event as it strikingly demonstrated again the invincible might of Juche Korea. 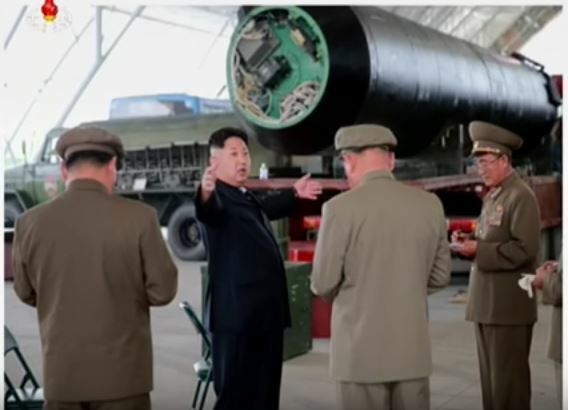 Not only the enemy but also the whole world may properly assess the capability of the DPRK's medium long-range strategic ballistic rocket by watching its flight track only, he said, declaring with conviction: We have the sure capability to attack in an overall and practical way the Americans in the Pacific operation theatre. To reliably defend the security of the country and its people from the constant threats of the U.S and other hostile forces, we should have the powerful offensive means capable of posing a constant threat to the enemy, he said, adding: It is necessary to increase in a sustained way our preemptive nuclear attack capability and continue the study and development of diverse strategic attack weapons. 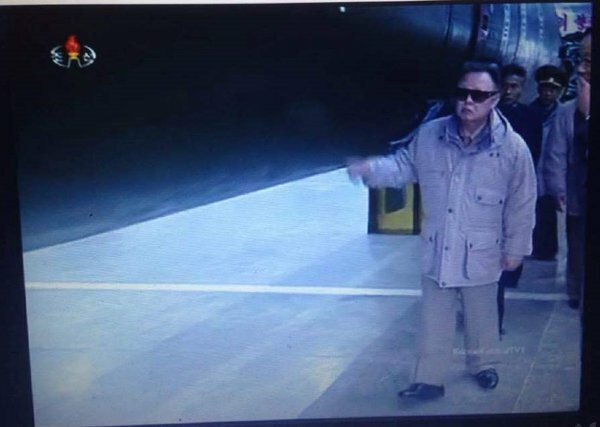 The real foe our nuclear force has to confront is a nuclear war itself, he said, stressing that the nuclear attack capability should be steadily bolstered up to protect the country and its people and the Korean revolution from the U.S. imperialists' nuclear threat. 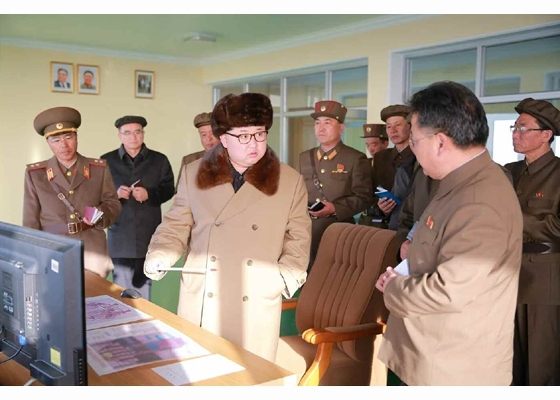 The current test-fire marked an important occasion in further strengthening the nuclear attack capability of our state, he said, stressing the need to more thoroughly establish the unitary leadership and management system over the strategic nuclear force. Edited by Soheil, 24 June 2016 - 05:57 AM. 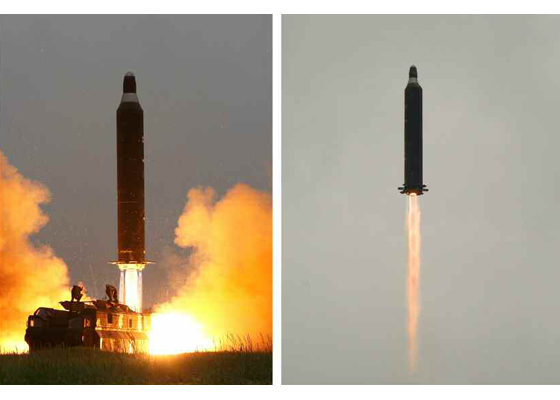 North Korea already has functioning Scud missiles with a range of 700-900 km and Rodong missiles with a range of 1,300 km, which each flew about 500-600 km during tests. Edited by Soheil, 28 January 2017 - 06:04 AM. 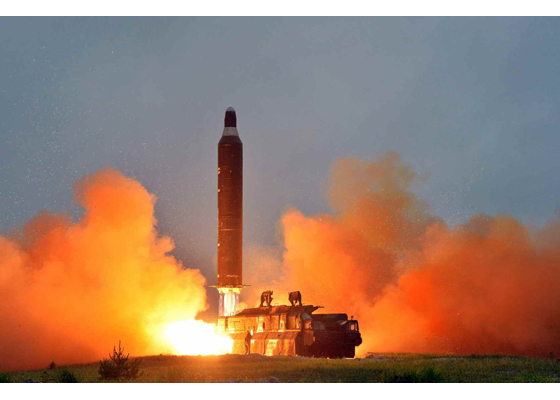 Respectfully Disagree with the title, as this latest test just demonstrates in my opinion, a Total Success for the Hwasong-10 system as a WMD deterrent. Indeed, why should a minor military power like the DPRK, being engaged in an asymmetric warfare with the only superpower even try to hit the opponent's civilian targets, with a known high probability of interception before it can reach its destination? Even in the hypothesis of one warhead surviving the flight to Guam, this would be far from securing a major victory for North Korea. The Korean Strategic Forces know where the weakness lies in the U.S. Colossus with Feet of Clay, and will exploit this to their own advantage. 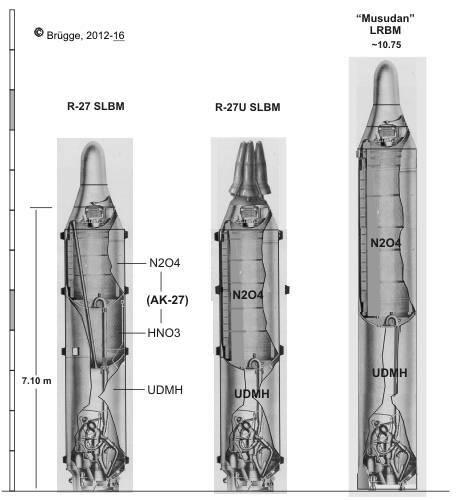 Launching a salvo of several dozens of TEL Hwasong-10 to its maximum apogee would allow to hit Low Earth Orbit (LEO) and Sun Synchronous Orbit (SSO) U.S. space assets as well. Future Hwasong-15/16/17 could possibly extend the range to Inclined/Geosynchronous Orbit (IGSO/GSO). The use of EMP optimized nuclear warheads should effectively destroy enough of the U.S. 20,000 military mindcontrol satellites and render the whole system dysfunctional, as the spacing and geometry in space formation is known to be utterly critical. No need to add that this would result in the end of 70 years of Pax Americana. Edited by Soheil, 28 January 2017 - 06:03 AM.